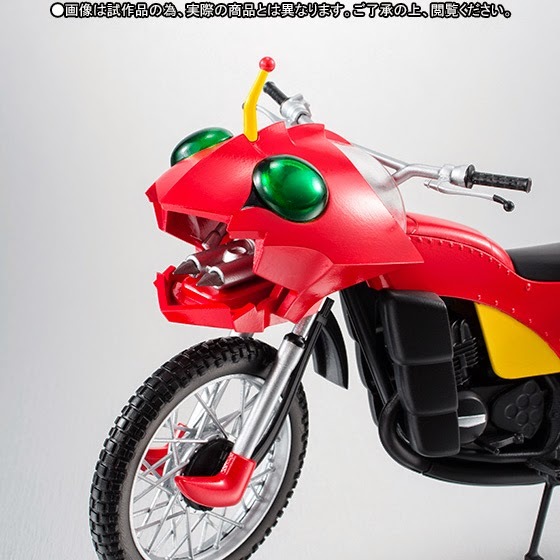 Tamashii Nations just revealed the official images of the S.H. Figuarts Jungler. 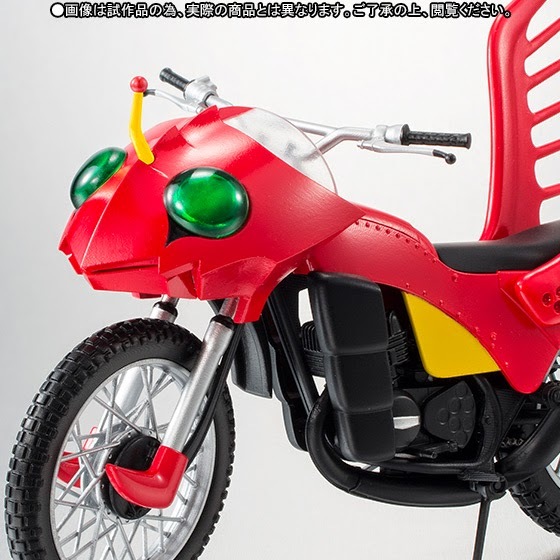 The figure represents Kamen Rider Amazon's rider vehicle. 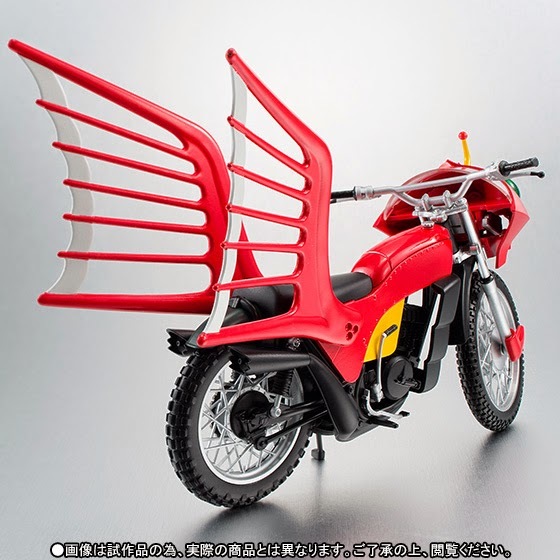 This will be released as a Tamashii Webshop Exclusive, this January 2015 for 5,400 yen. Inclusive are replacement handles, a rear wheel stand and a Stage Soul joint. 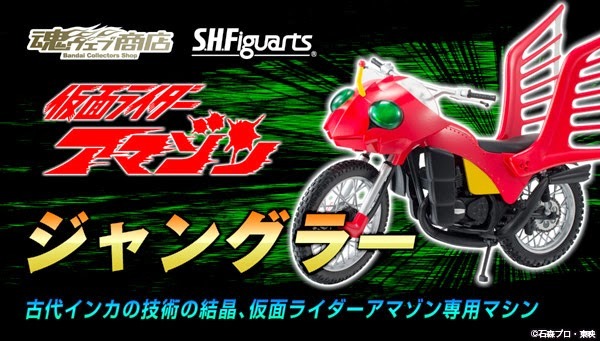 If you haven't gotten your SHF Amazon yet, Bandai will also be releasing the two-pack S.H. 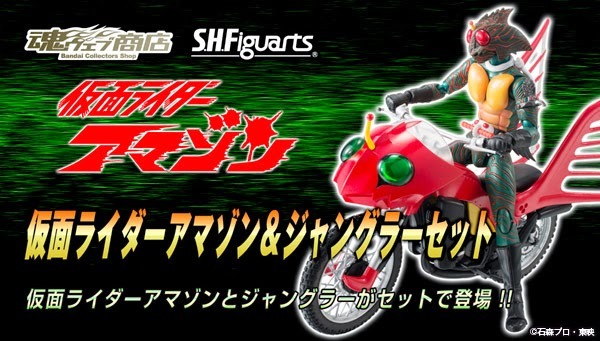 Figuarts Kamen Rider Amazon and Jungler set. Basically the set has all the parts from the Jungler and Amazon's accessories such as 5 replacement wrists, replacement muffler, bracelet parts, belt parts, two weapons and the large cutting effect. 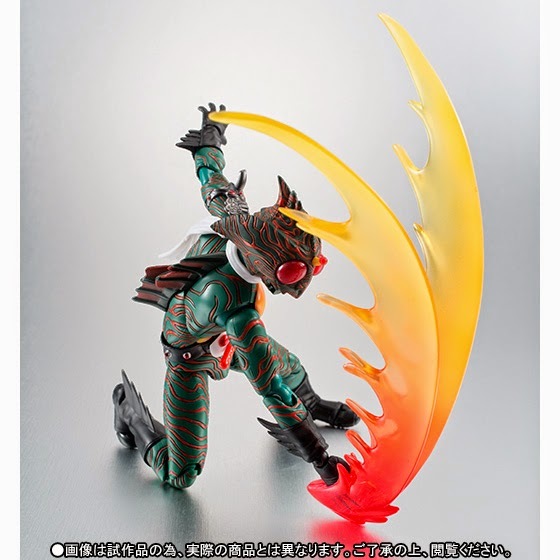 Also an exclusive January 2015 release price is about 9,180 yen.